Trinitas Cellars was founded by Tim & Steph Busch in 2000. 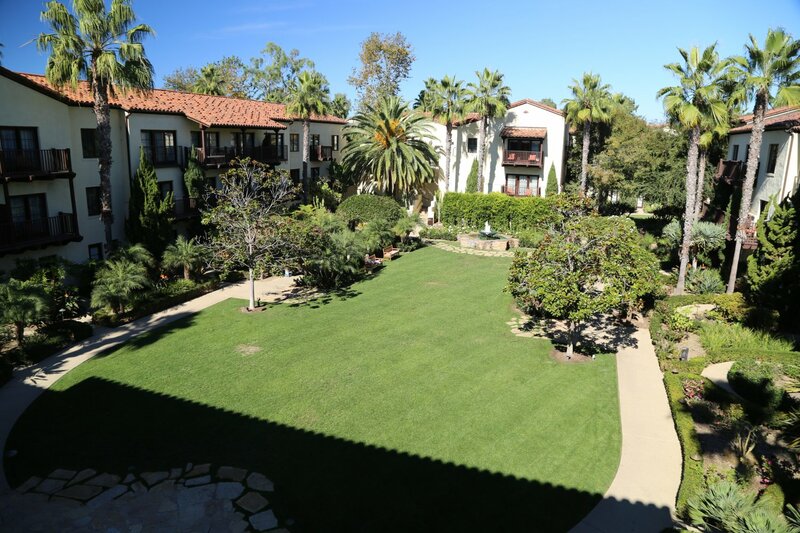 Tim is an attorney from Orange County, California and the founder of The Busch Firm (in 1979) – a law firm that offers a variety of legal services relating to multimillion-dollar real estate and commercial business transactions. 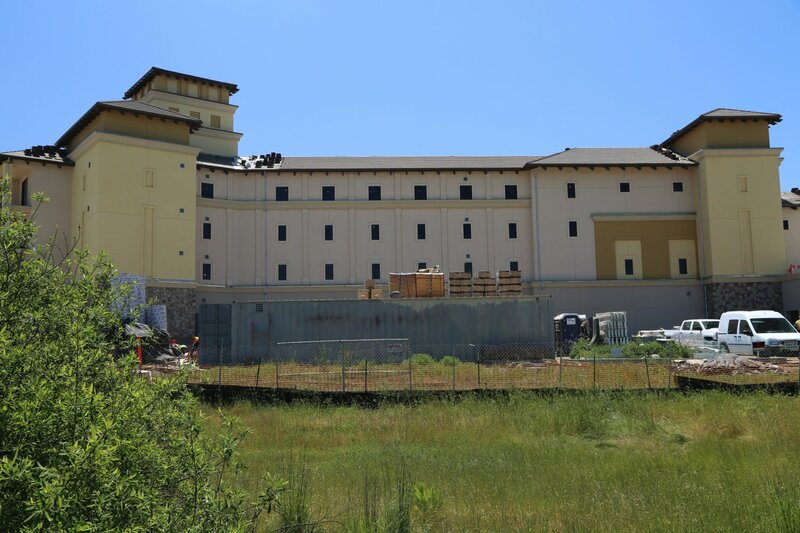 Tim is also the founder and CEO of Pacific Hospitality Group, which oversees a number of properties under the Meritage Collection including both their Napa based properties (Meritage Resort and the Vista Collina Resort). 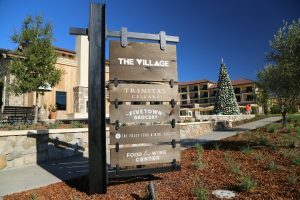 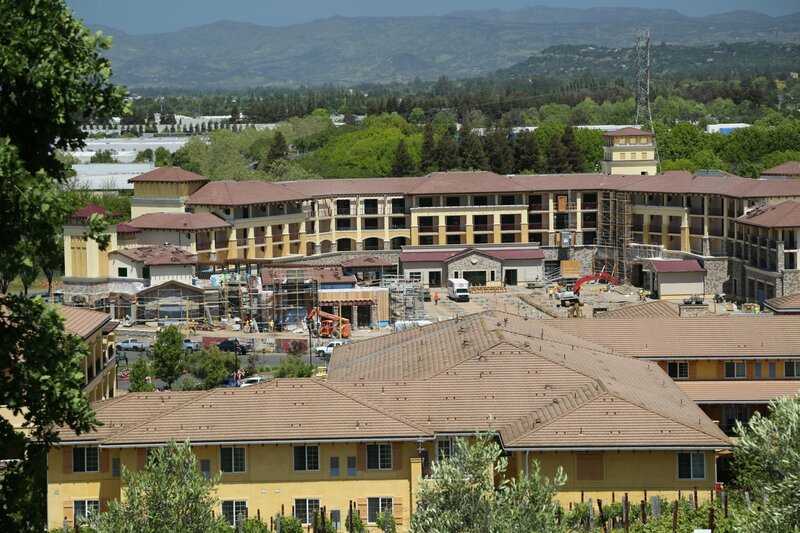 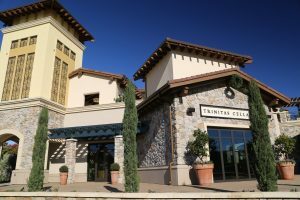 Conveniently the public face of Trinitas Cellars is located at Vista Collina Resort. 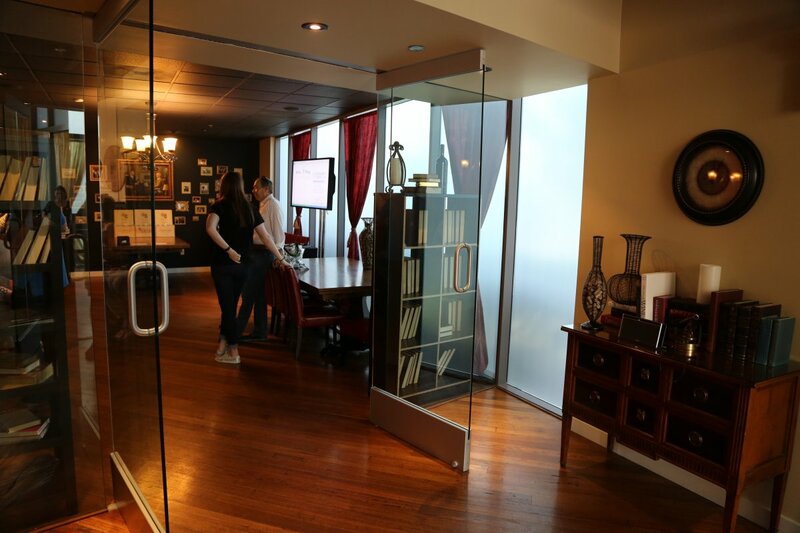 In addition to his business ventures and various investments, Tim co-founded the The Magis Center, (‘magis’ means ‘more’ in Latin), an organization that in part focuses on restoring people’s belief in God and the virtues associated with his holy presence. 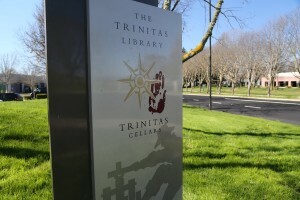 Trinitas is Latin for Trinity (the Father, Son and Holy Spirit in Christianity) but it also applies to the wine industry. You have the sun, soil and humanity, all key ingredients for making excellent wine. 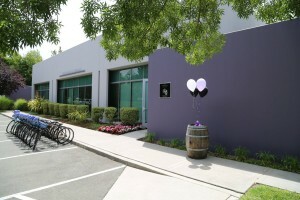 Today their son Garrett and his wife Betsy are running the company. 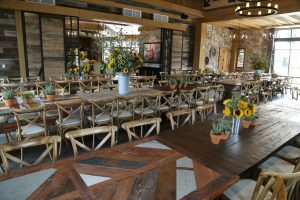 Remarkably and unexplained, Garrett and Besty were blessed with triplets born in 2016. 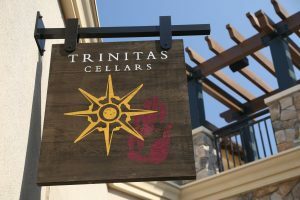 As of the time of this review, Trinitas makes a fairly large variety of reasonably priced wines. 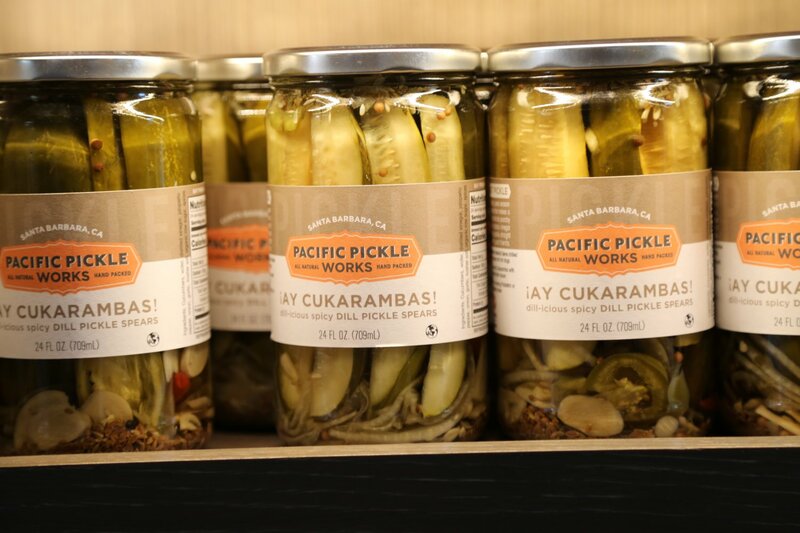 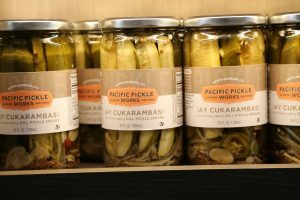 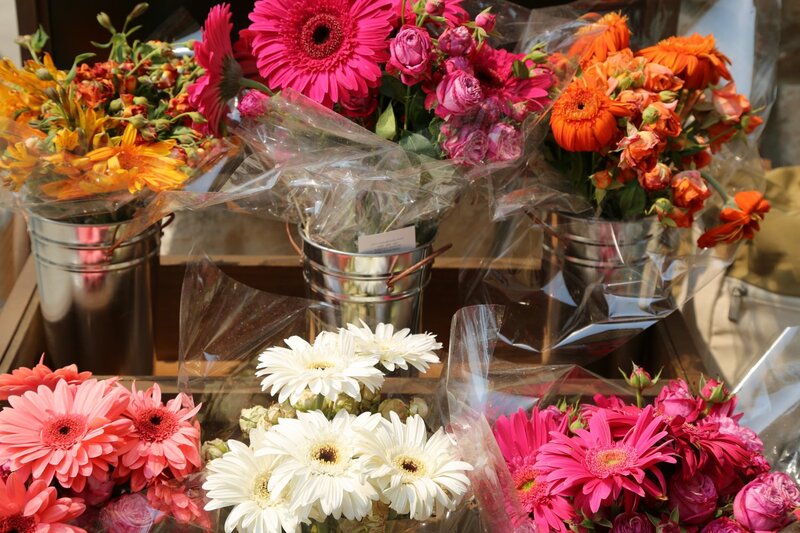 They source fruit from select vineyards from a diversity of locations in Northern California, including Napa. 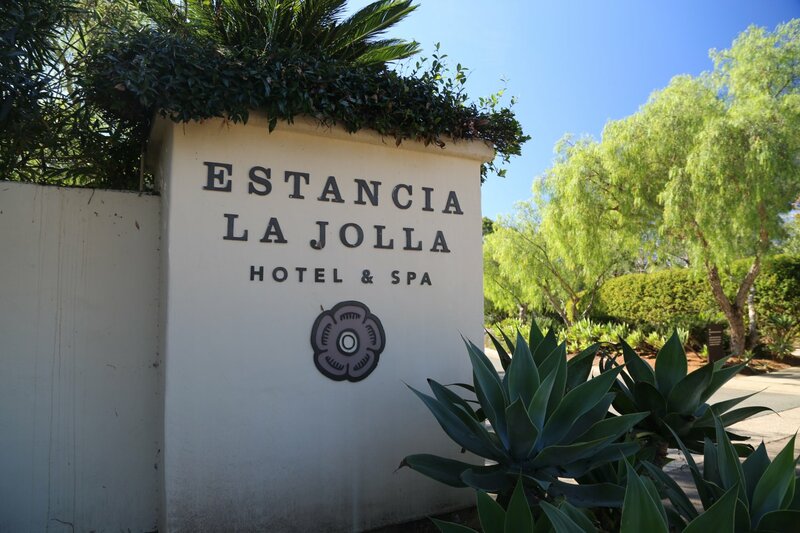 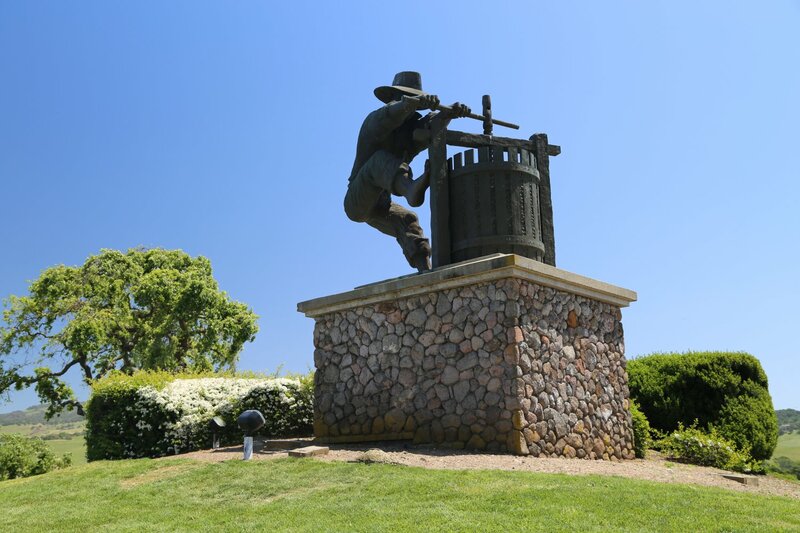 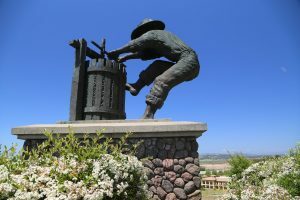 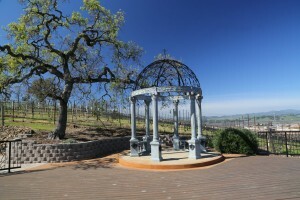 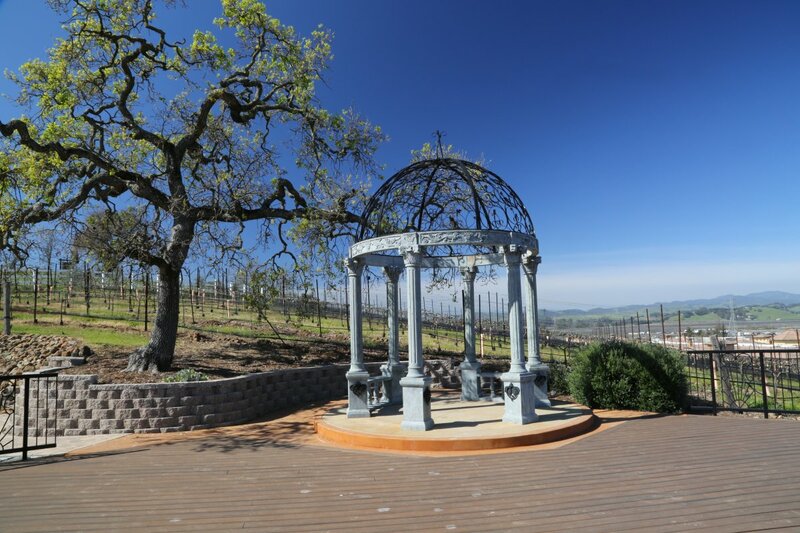 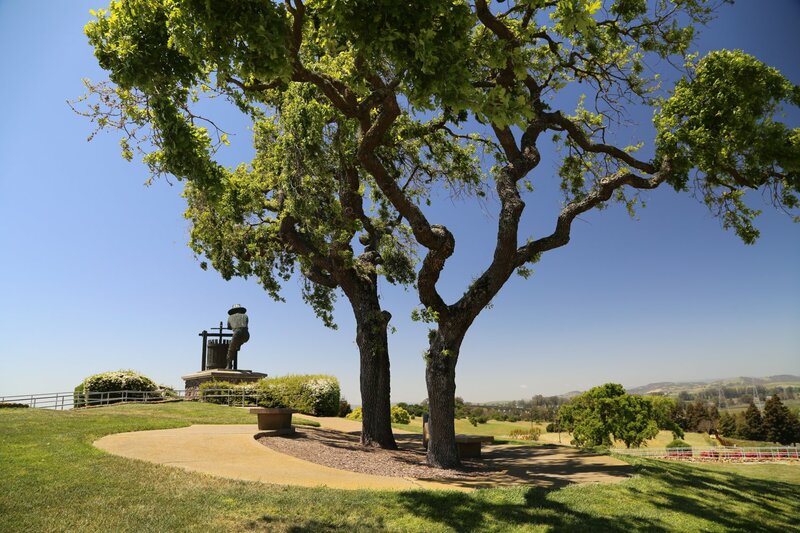 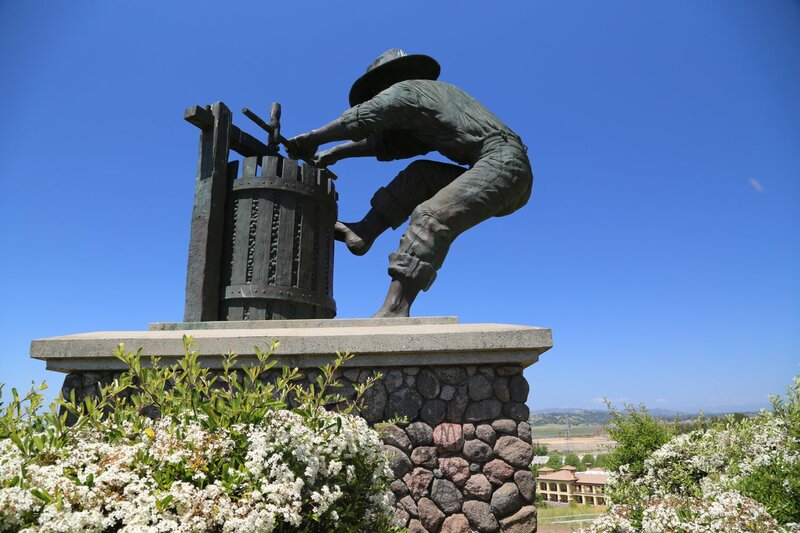 In addition their own vineyards grow above their spa cave on the grounds of the Meritage Resort; these vines extends all the way to Highway 12 (look for the iconic grape crusher statue on the hill directly behind/south of the resort). 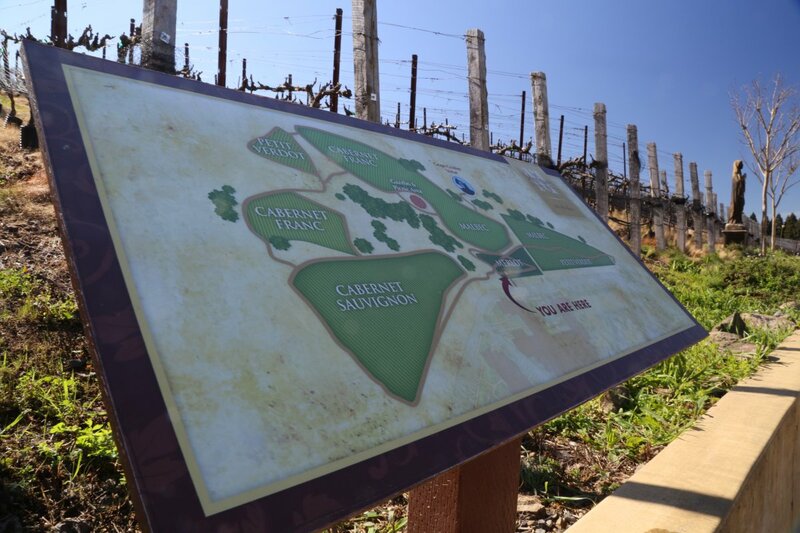 A variety of Bordeaux red varietals are planted on site as well as a bit of Chardonnay which is the varietal that grows in the extremely rocky soil directly above the cave entrance. 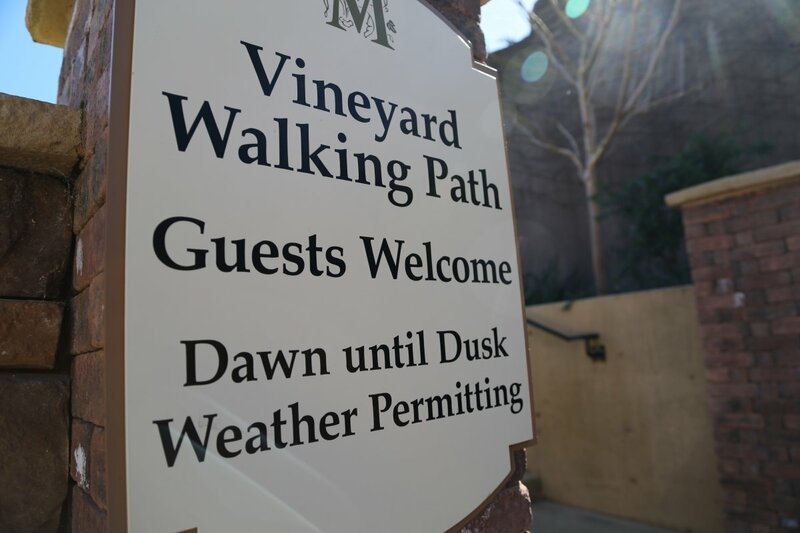 In fact one can enjoy a relaxing “wine walk” – from the entrance to the cave proceed up the steps to the left and take the short trail that leads among the vineyards. 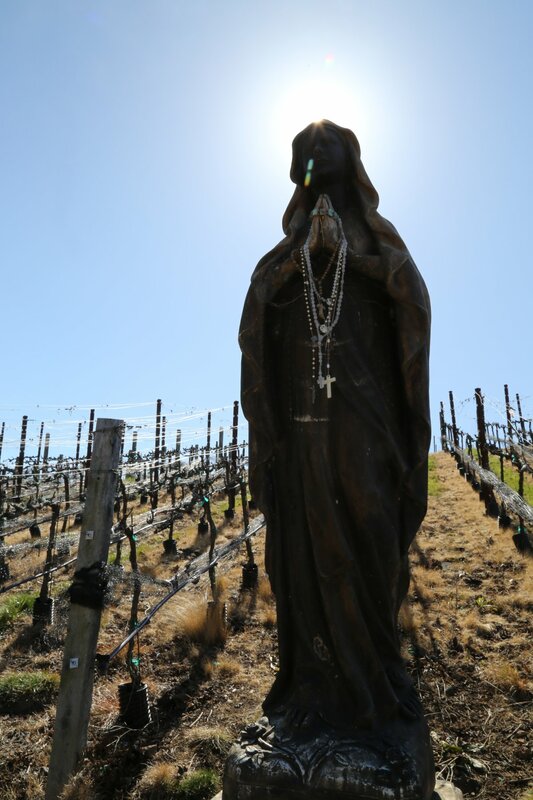 Pause for reflection at the Madonna statue near the chairs. 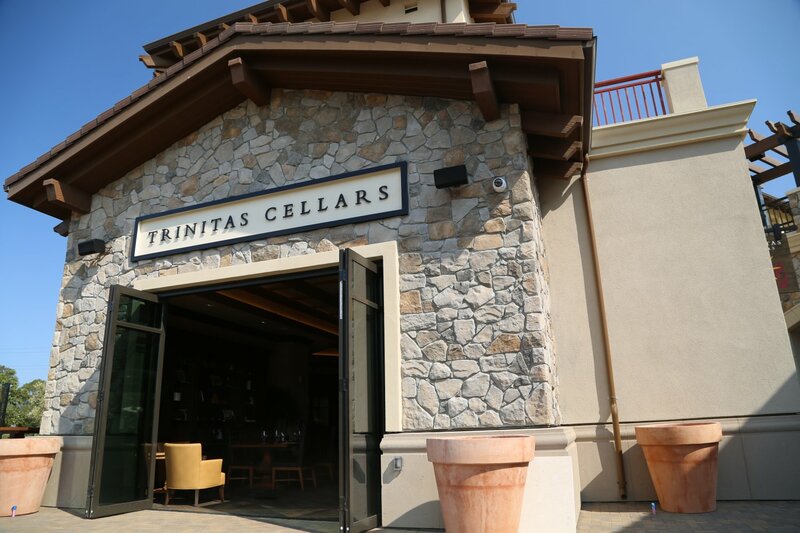 Considering this is the “Napa Wine Project”, during our latest tasting of the Trinitas Cellar wines we carefully selected mostly Napa wines to review from their tasting menu (as they do produce a number of non Napa grown wines). The 2007 Sauvignon Blanc is crisp with aromas of green apple, grapefruit and honeysuckle. 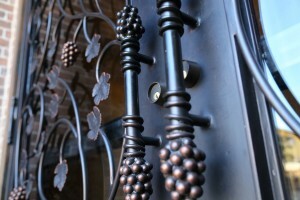 The finish is very clean. 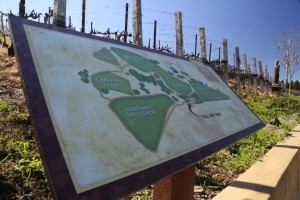 The 2005 Pinot Noir from the nearby Carneros appellation is like drinking candy. 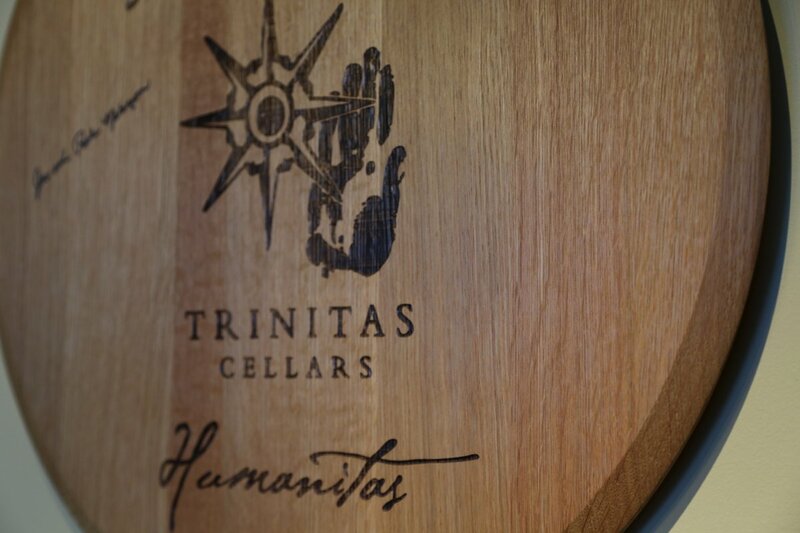 It is a delicious fruit forward wine of this varietal (with a generous helping of fruit-driven aromatics) with a wonderful mouth feel that is silky and smooth with flavors of cola, cherry, nuances of cedar and spices on the palate. 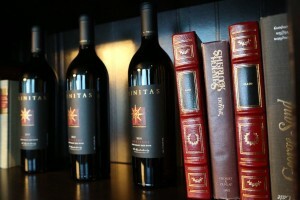 The 2005 Cabernet Sauvignon is one of the smoother Cabernet Sauvignons one will try from Oakville; hints of a floral character on the bouquet (with nuances of violets) with some of these floral qualities carried onto the palate. This wine features a long smooth finish. 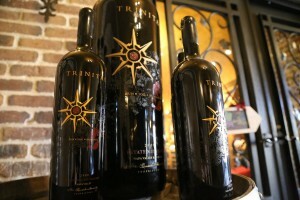 The Revelation is the name of their Late Harvest Cuvée, a blend of 4 red varietals entirely from old dry farmed vineyards. The 2005 version opens with a surge of perfume and candied fruit type aromas on the bouquet. 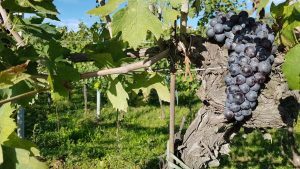 Rich fruit is represented on the palate – not overly sweet but fairly well-balanced, complemented in part by the decent acidity. 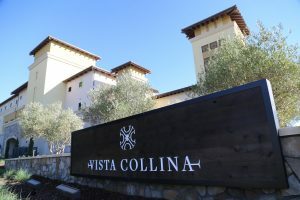 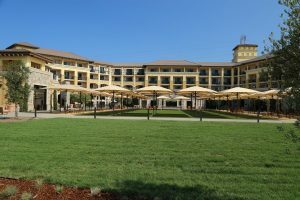 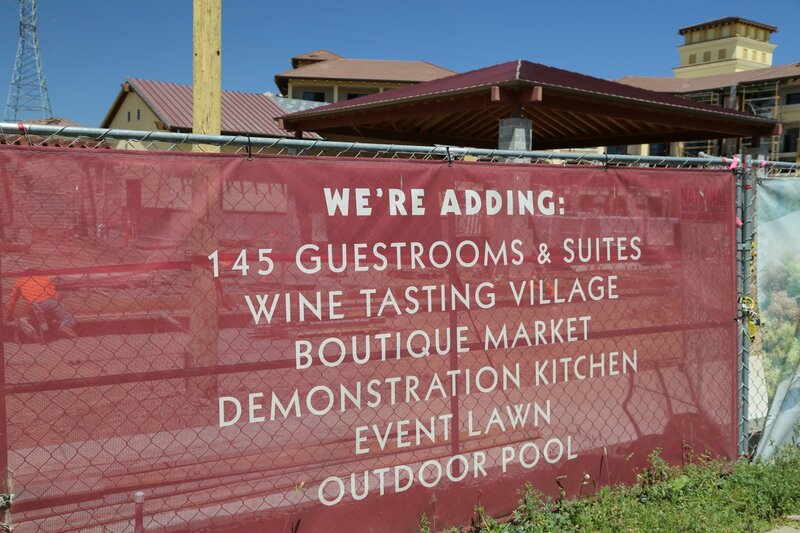 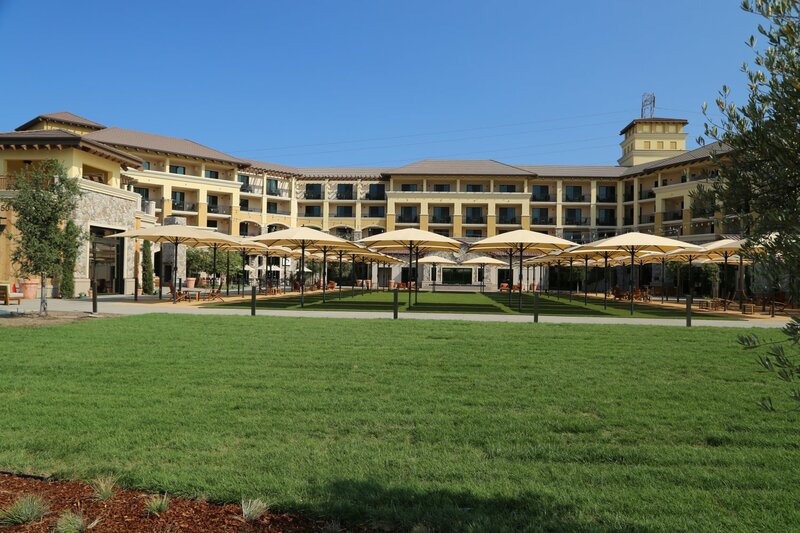 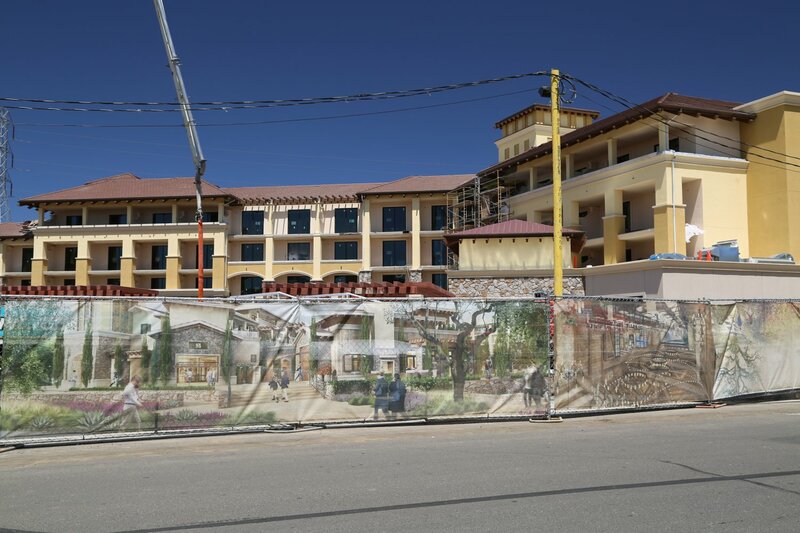 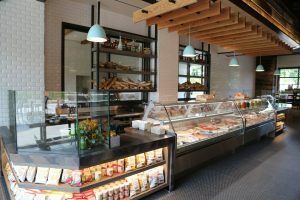 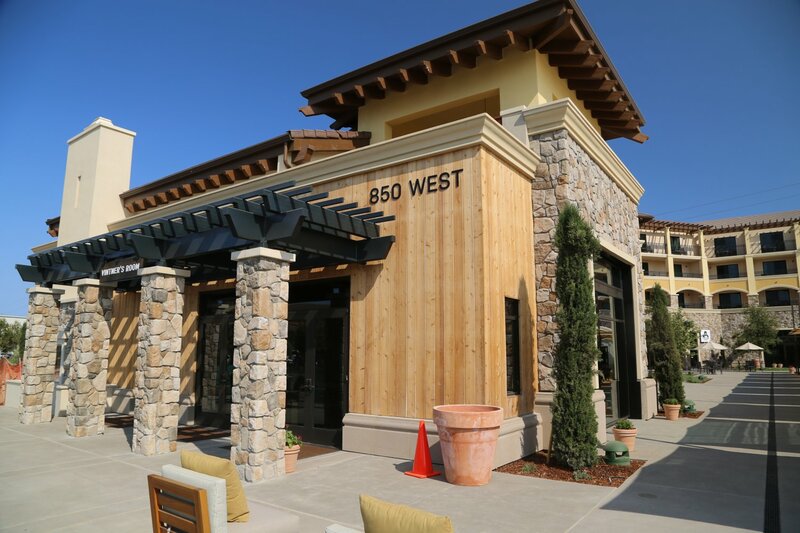 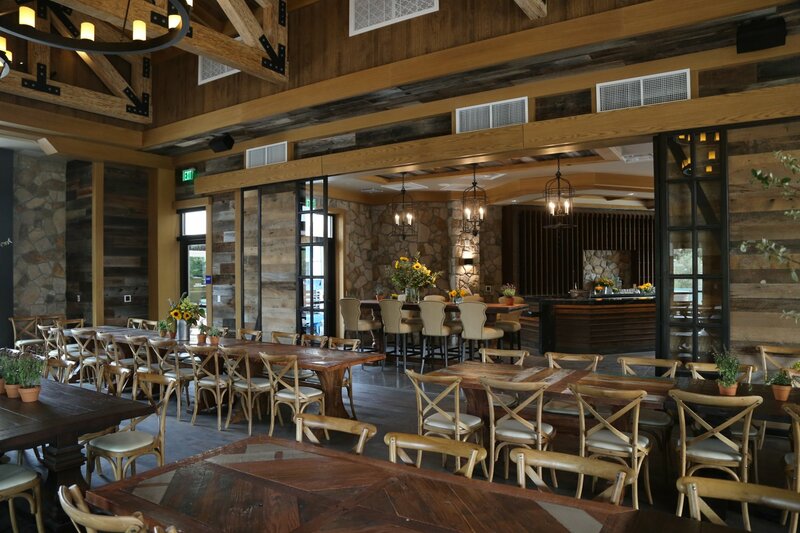 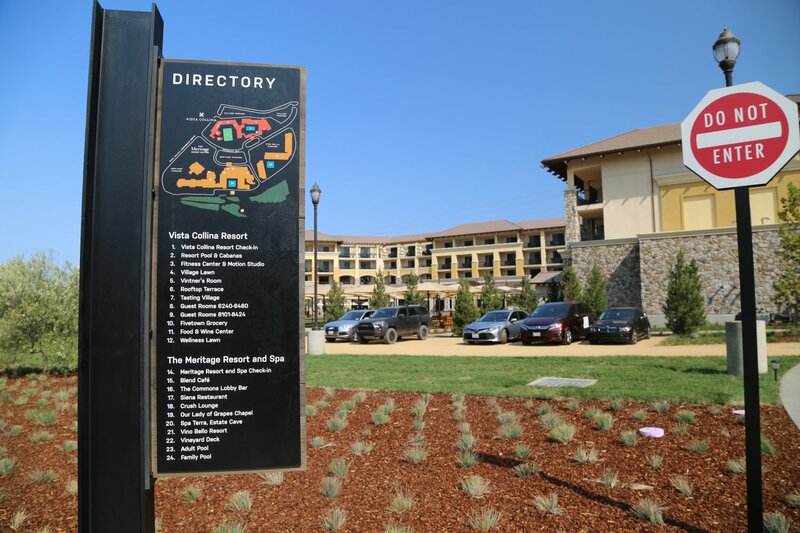 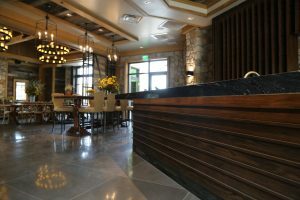 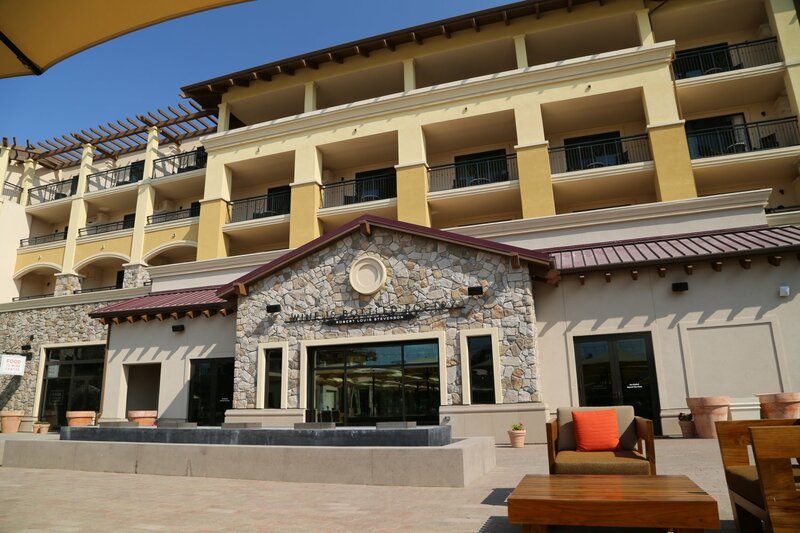 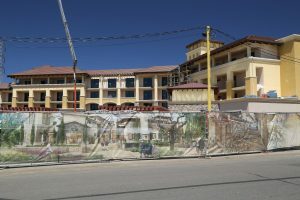 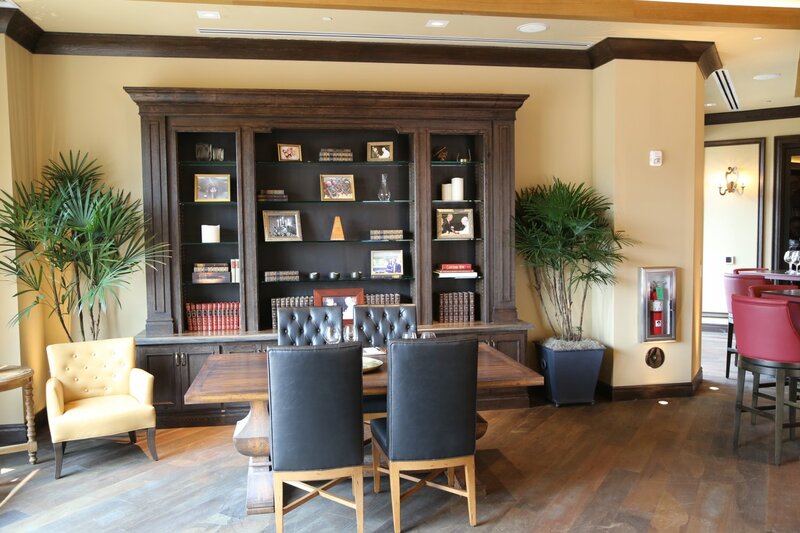 In summer of 2018 a large parcel of land directly to the south and across the street from the Meritage Resort opened as Vista Collina Resort and the next door The Village at Vista Collina – featuring a large green space (with environmentally friendly turf) surrounded by four stories containing 145 Tuscan-styled guest rooms, 9 stand alone tasting rooms on the ground floor, a luxurious Vintner’s Room (for special vintner member and other community and private events) and the Village Food & Wine Center where chefs teach a variety of culinary seminars and host other culinary related events. 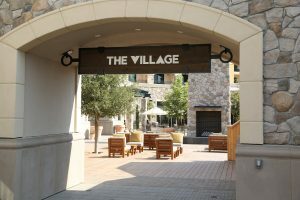 The Village at Vista Collina held its grand opening on August 4, 2018. 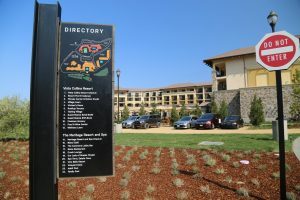 There is plenty of parking here – visitors to the property often can find spaces, curbside on the street that runs in front of The Village. 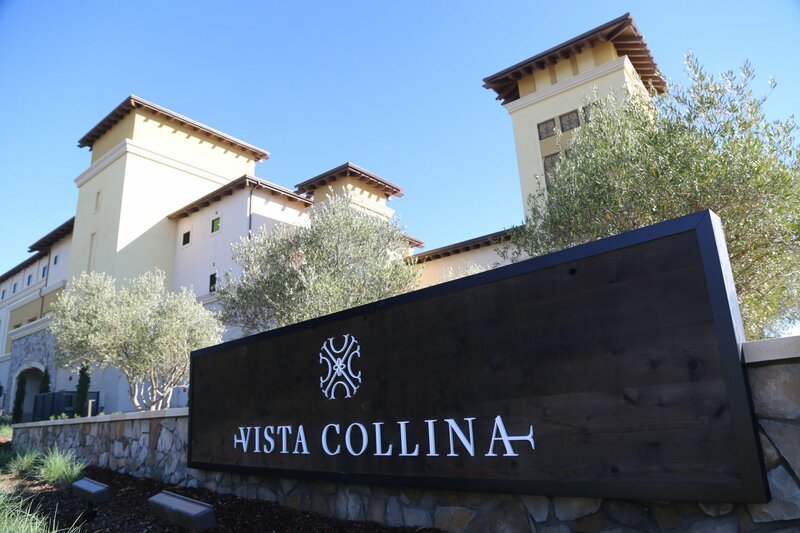 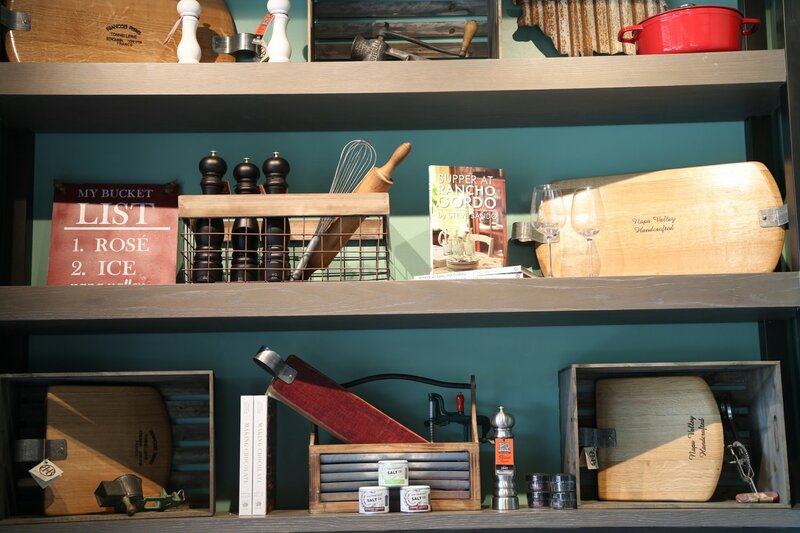 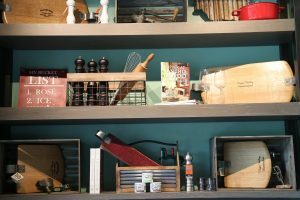 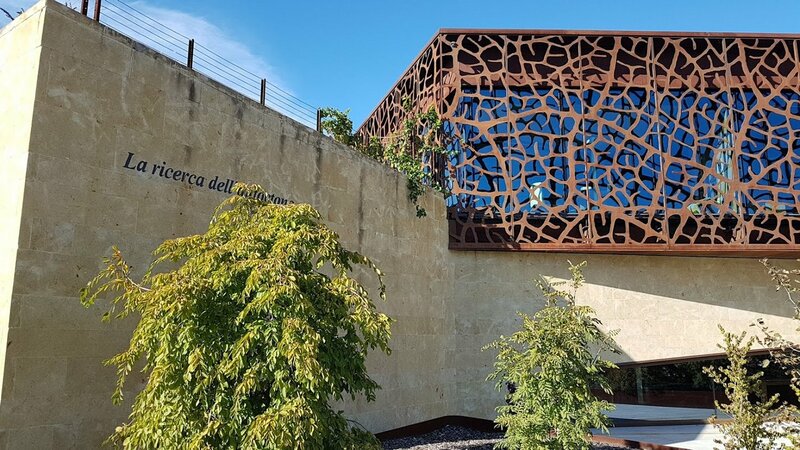 In 2019, Vista Collina opened a cooking school – offering cooking classes, lunch and dinner demonstrations and wine pairing experiences. 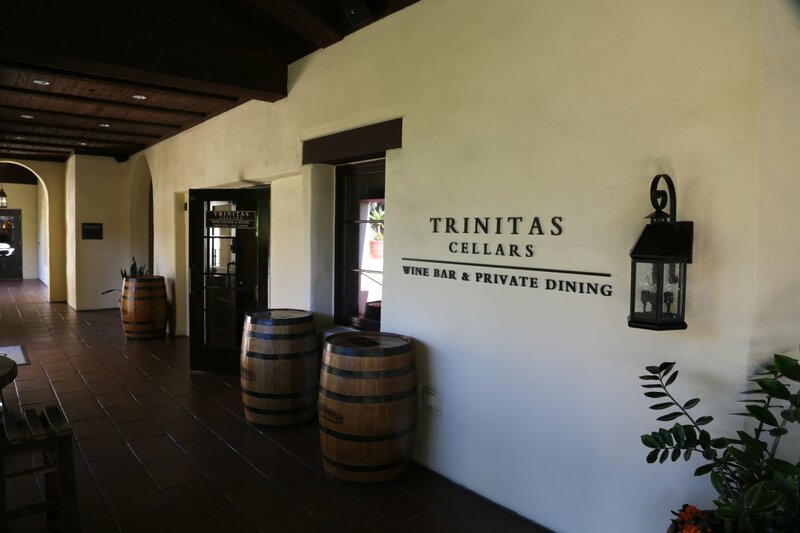 Two tasting spaces stand out – one is the Trinitas Wine Room featuring a visually intriguing interior including a circular bar. 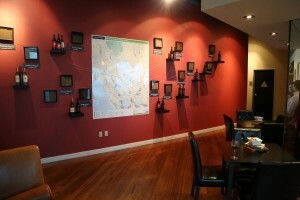 Tastings offer a huge variety of wines to choose from. 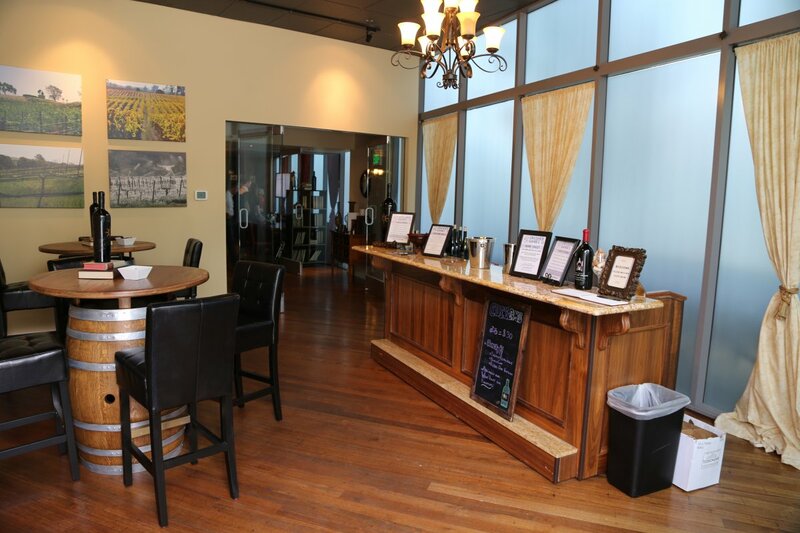 From the tasting flight, one selects four different wines from a list of whites, reds and a dessert wine. 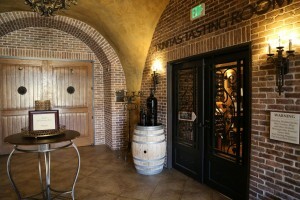 The other is the Foley Food & Wine Society – anchoring one side of the courtyard with its own sizable space. 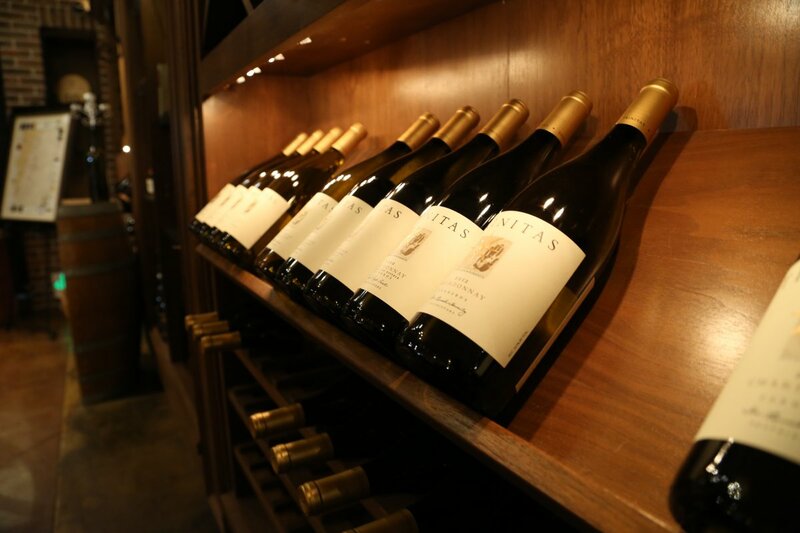 The focus of the tastings here are on select wines from a number of wineries within the Foley Family portfolio including from Napa (ALTVS/Merus, Foley-Johnson and Kuleto Estate), neighboring Sonoma County and Central California. In addition to Trinitas Cellars, other boutique wineries represented include Cornerstone Cellars, GEN 7 Wines (non Napa with a family that traces their California winemaking heritage back to their own winery dating from 1832 near the town of Hollister in San Benito County – run by charismatic winemaker and 7th generation family member Tim Bacino), Jayson by Pahlmeyer, Luna Vineyards, Mi Sueño Winery, Napa Smith Brewery and The Wine Foundry. 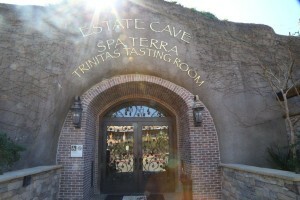 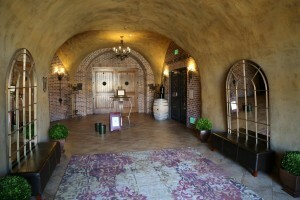 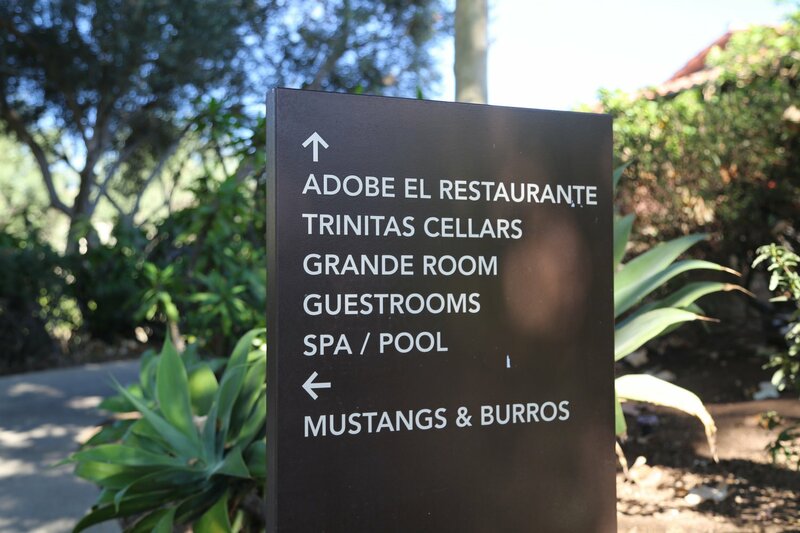 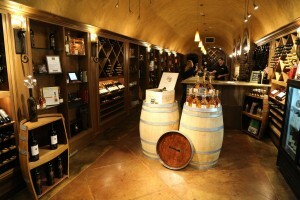 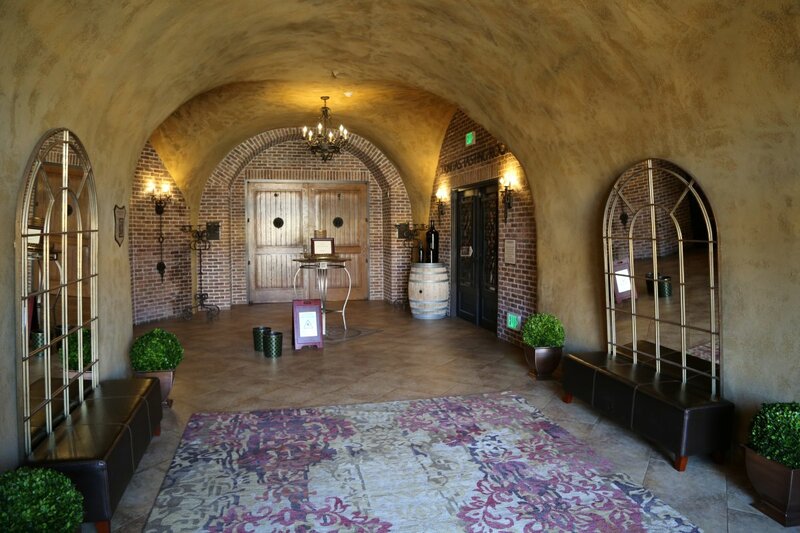 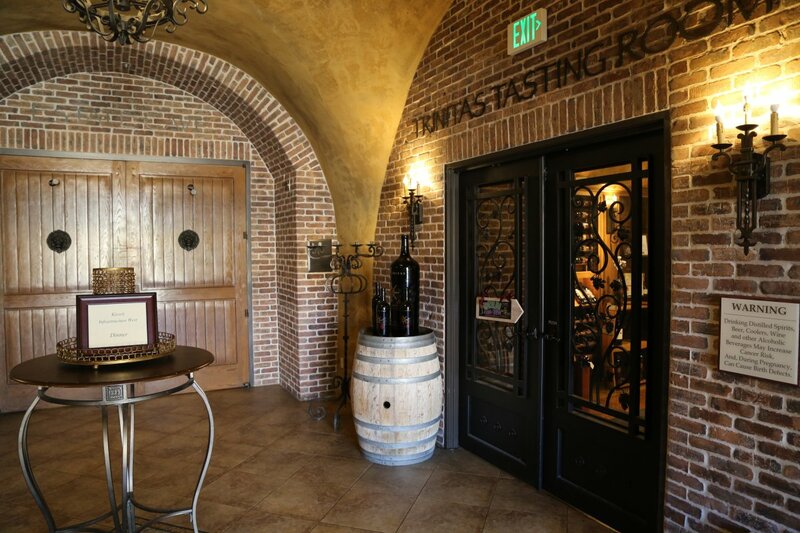 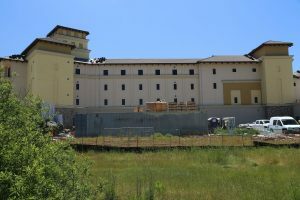 The original tasting room for Trinitas Cellars was located in their 20,000 square foot cave next to the luxurious spa. 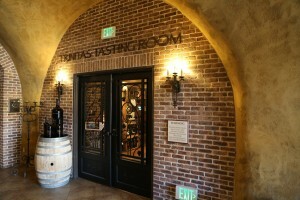 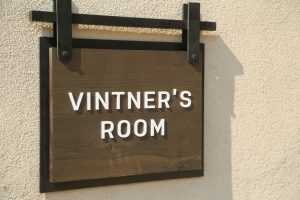 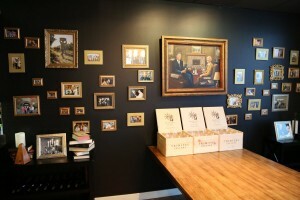 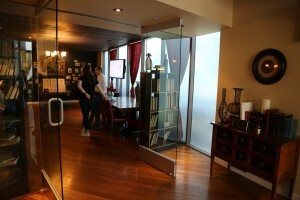 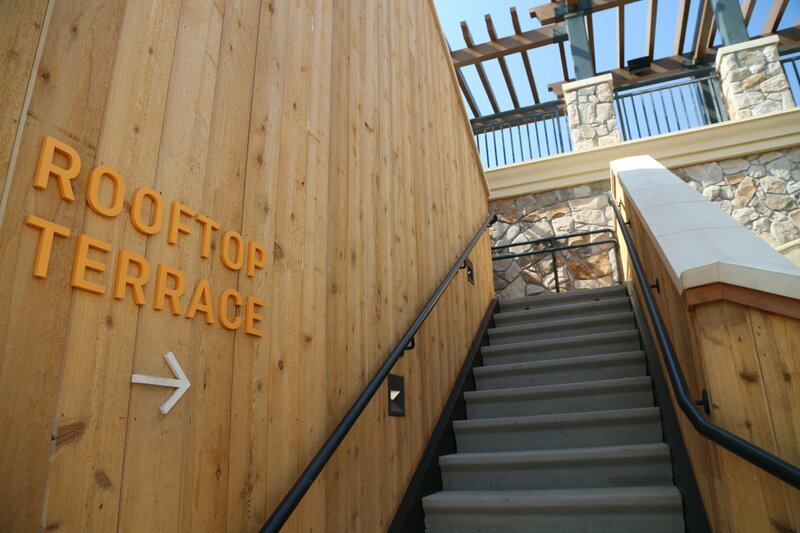 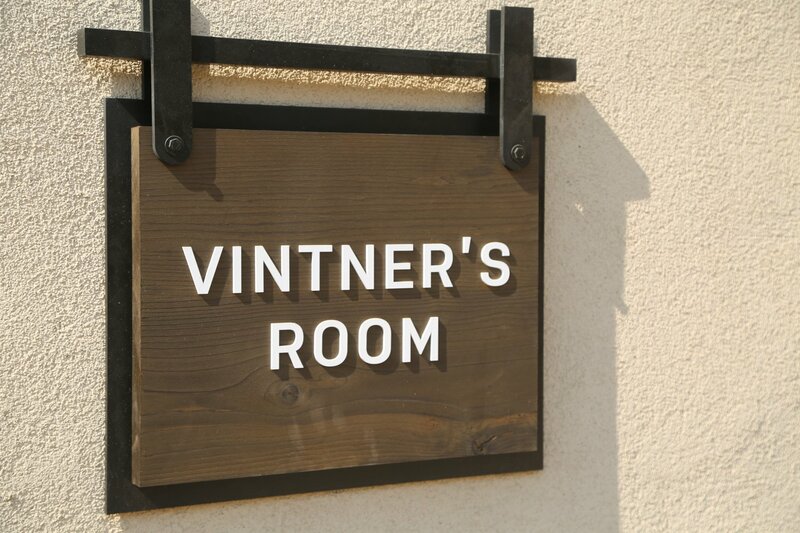 Initially this was one of the very few tasting rooms located at a resort within the Napa Valley area. 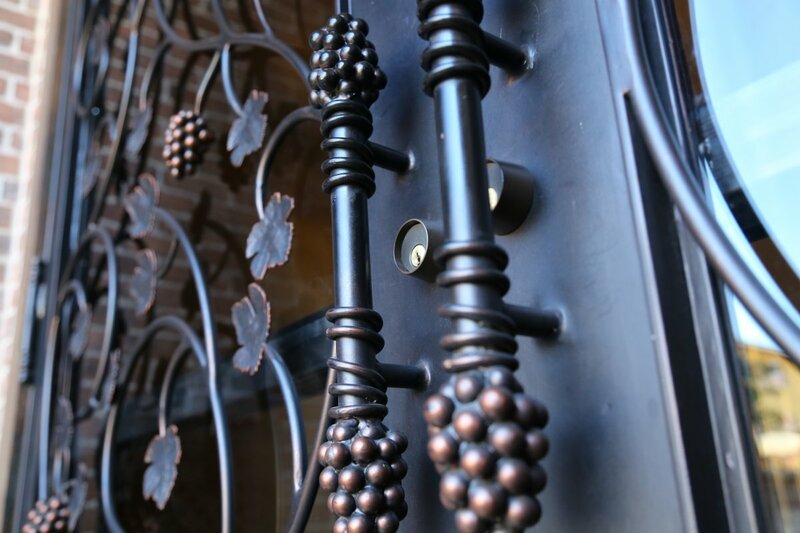 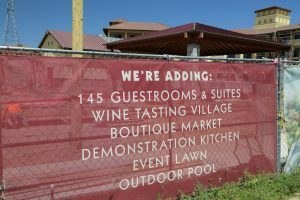 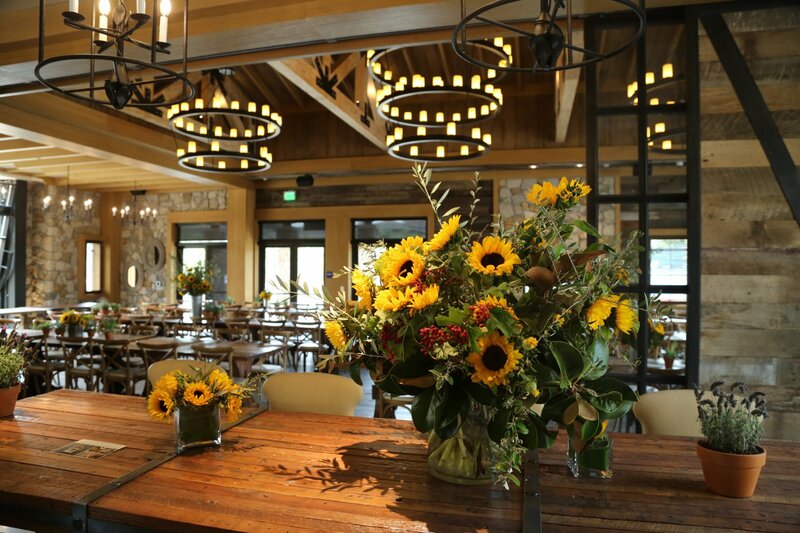 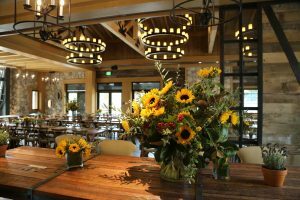 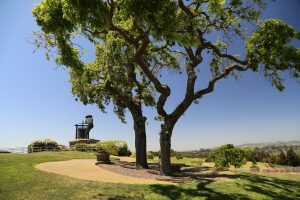 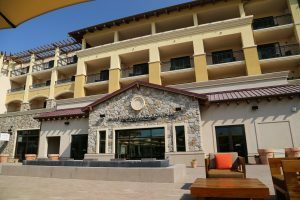 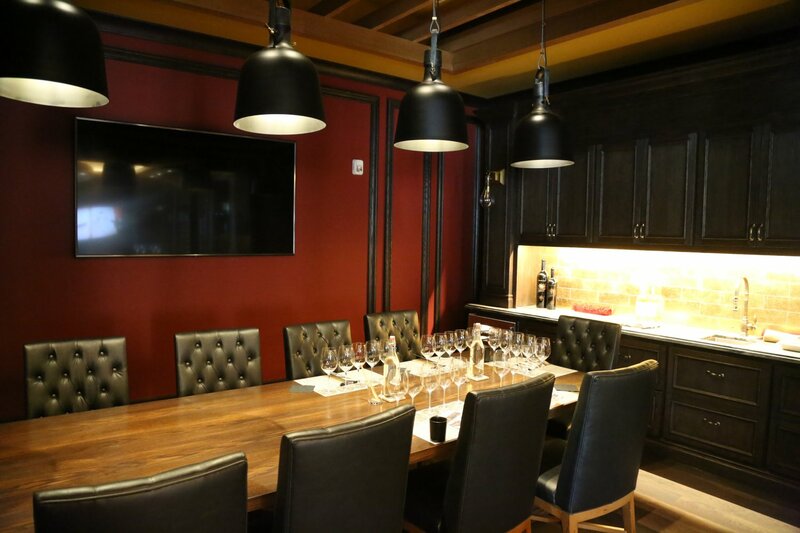 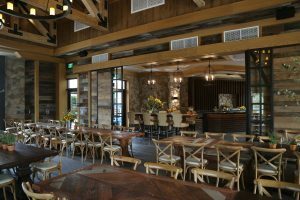 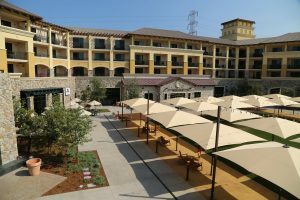 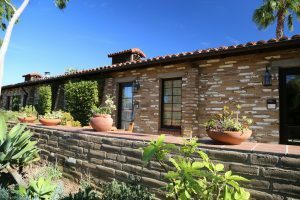 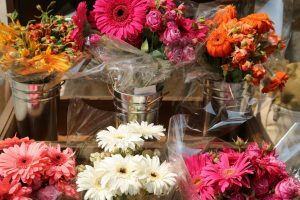 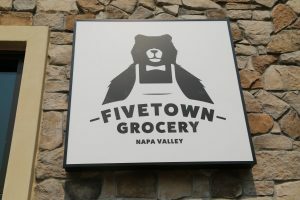 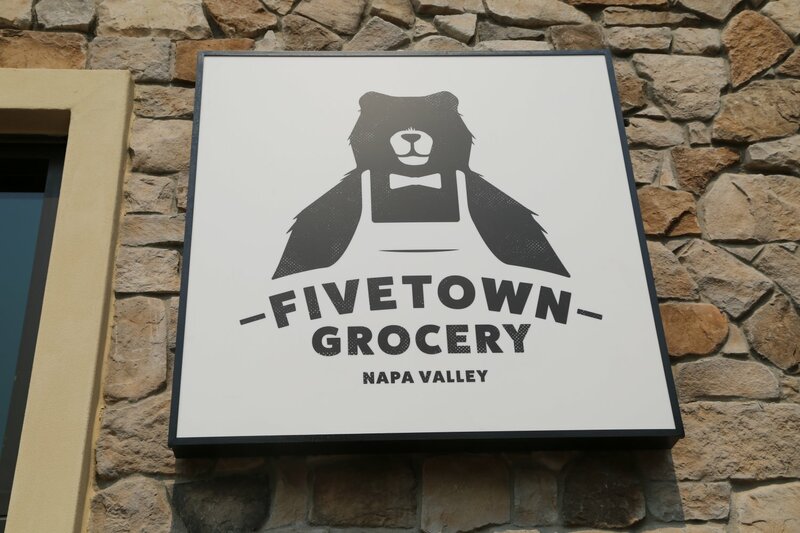 What a great idea – as many people who stay here are coming to Napa for wine tasting and it complemented their stays by offering a tasting room within easy walking distance of the hotel rooms. 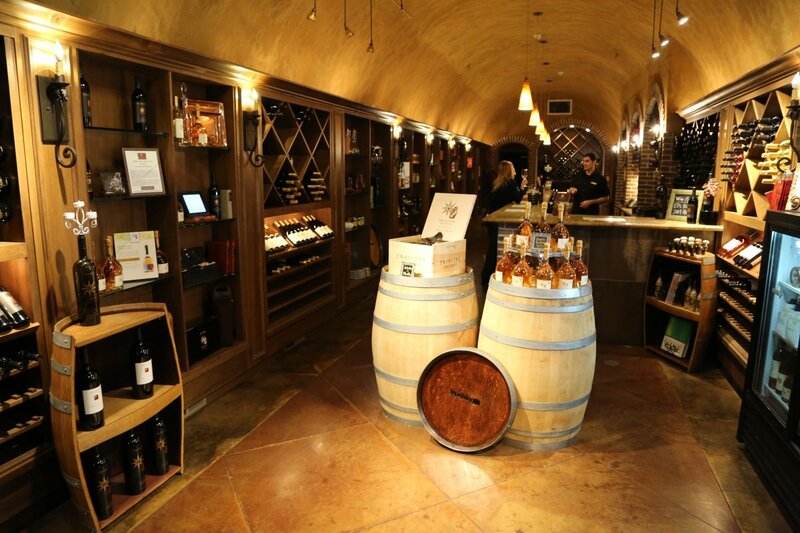 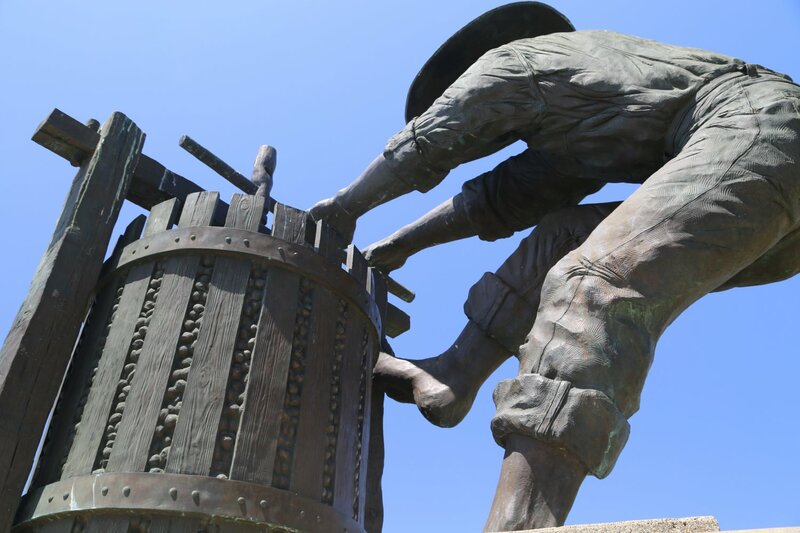 This cave system sits 40 feet underneath the famous Napa Wine Press statue easily seen from Highway 12. The cave offers a luxurious underground spa with underground pools, treatment rooms and little cave “relaxation” grottos. We’ve been in numerous wine caves in Napa (as of our last update about 140 such wine caves), but this is the first spa cave we’ve visited – and it was the first wine tasting in a cave where when you enter it smelled like a spa! 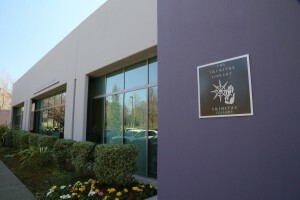 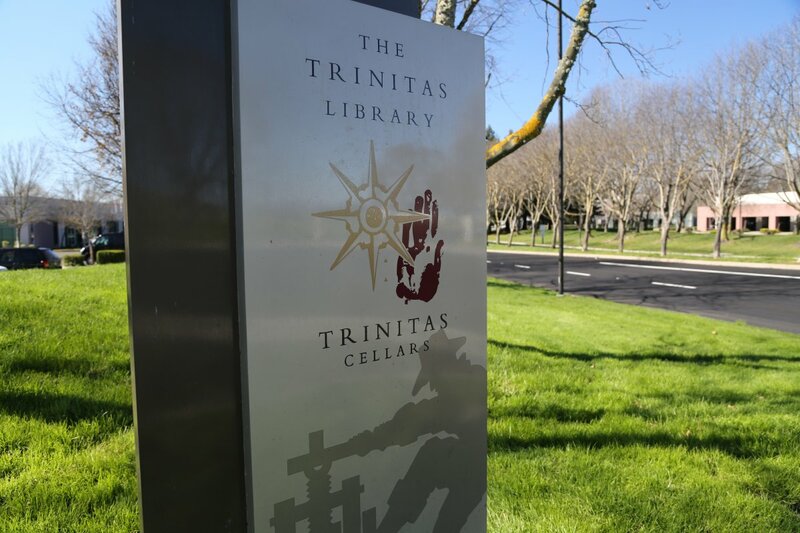 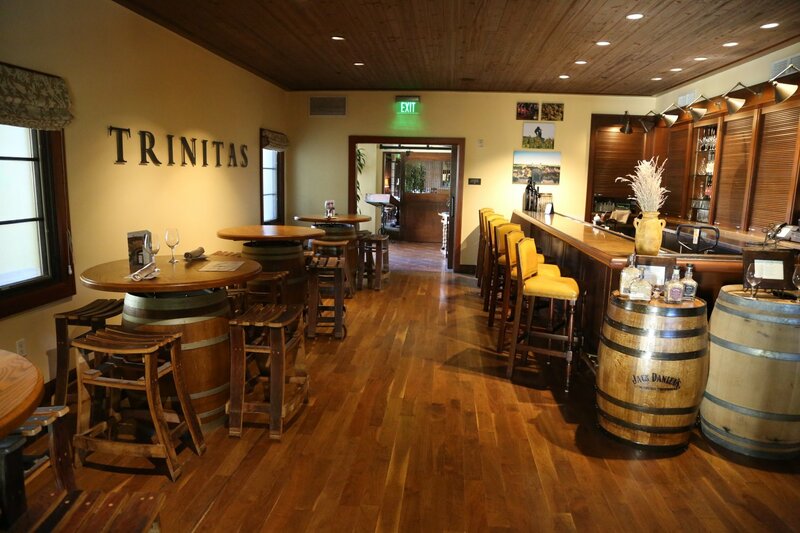 Trinitas took over the old Patz & Hall facility in early 2014 in the corporate park (not far from the Meritage) just south of Napa and now offers Library tastings by appointment. This is a several minute drive from the Meritage and an estimated 10-15 minute walk away. 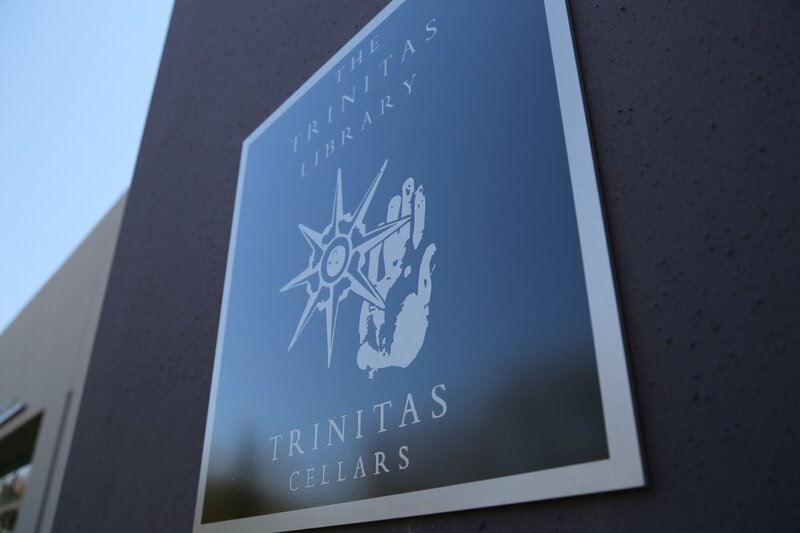 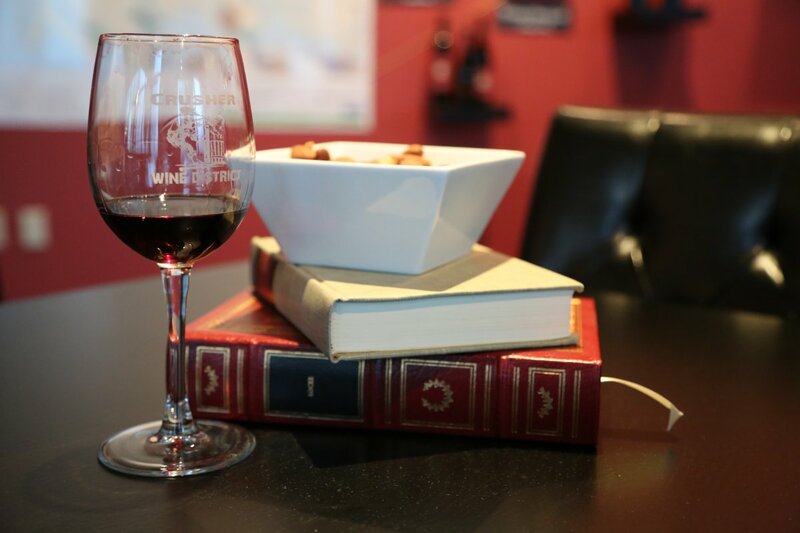 This tasting salon was named the Trinitas Library because it features some of their older wines. 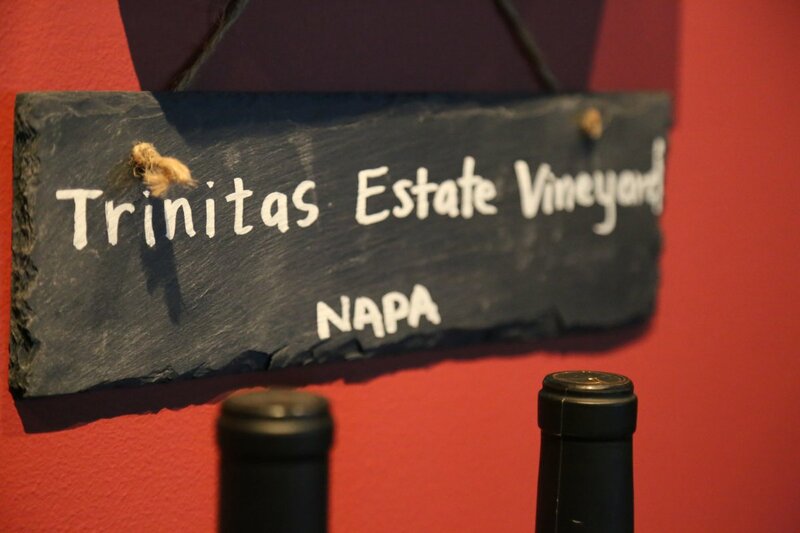 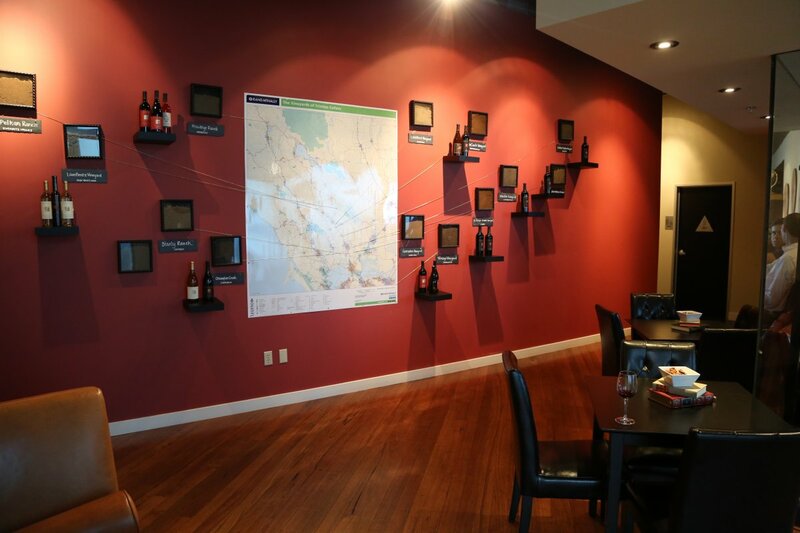 This beautiful salon is a great place to relax and learn about wine – with so many vineyard sources in their portfolio, Trinitas has shared some vineyard education in a visual manner – soil samples from the vineyards and a large map show each of their vineyard sources. 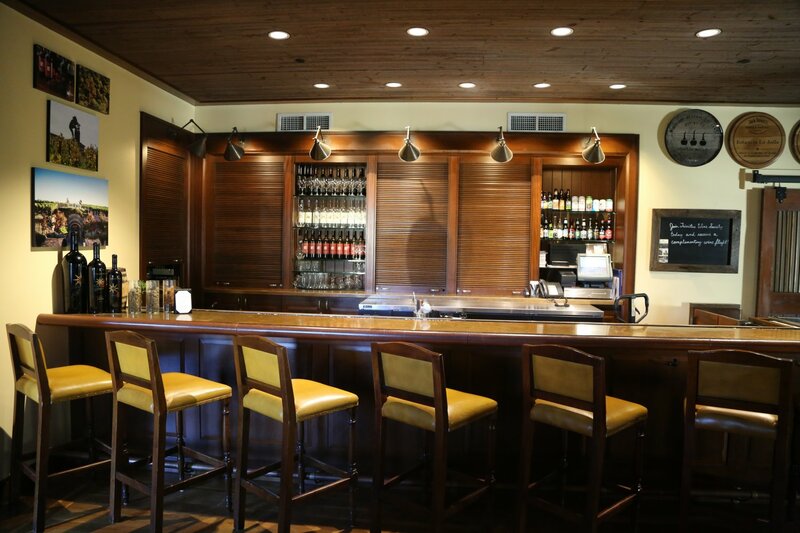 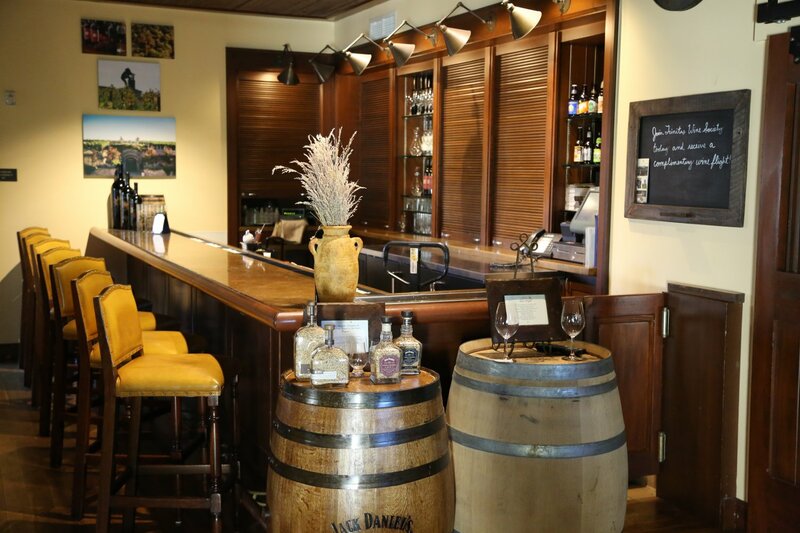 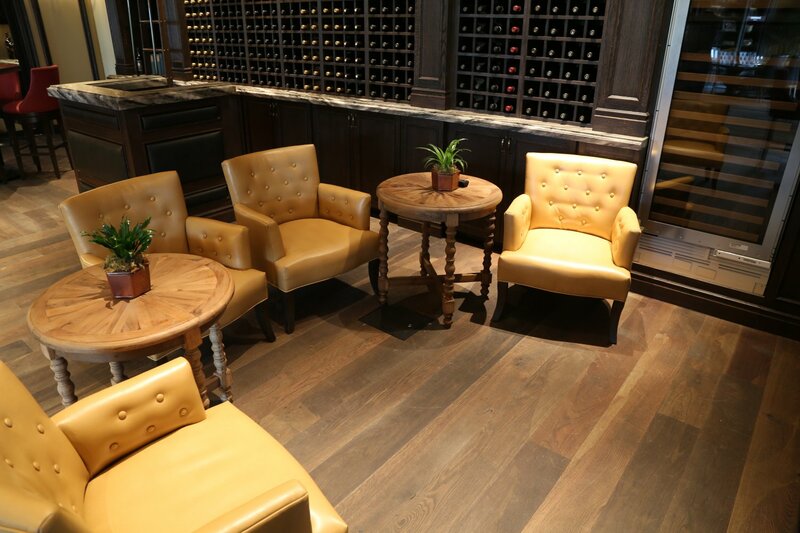 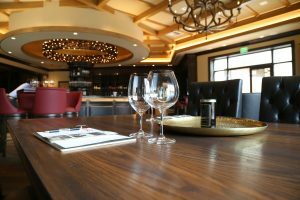 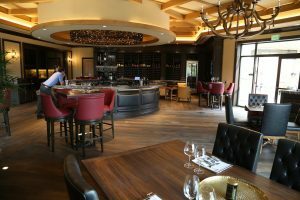 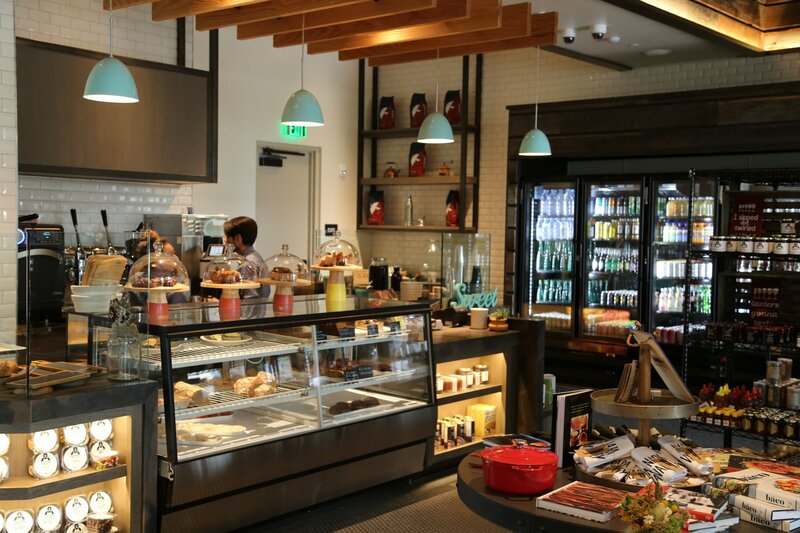 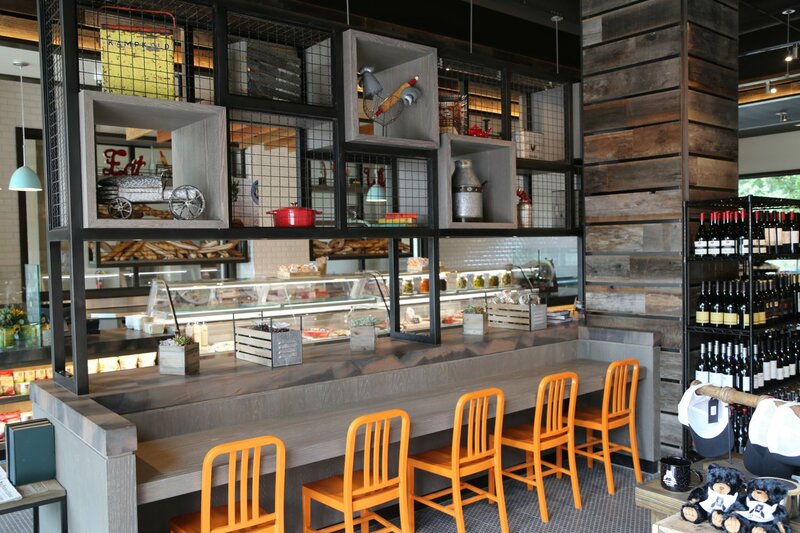 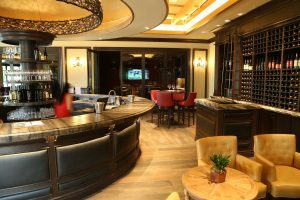 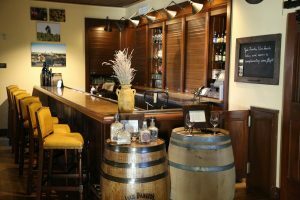 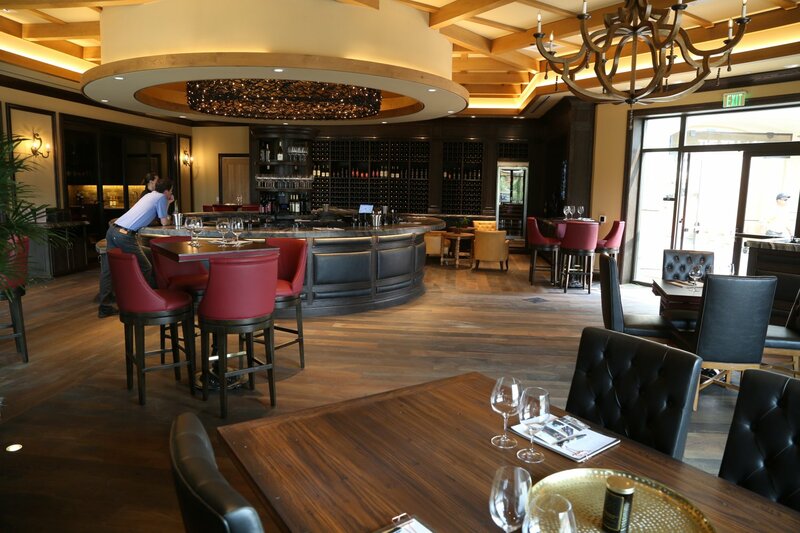 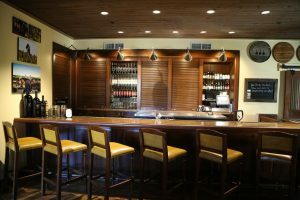 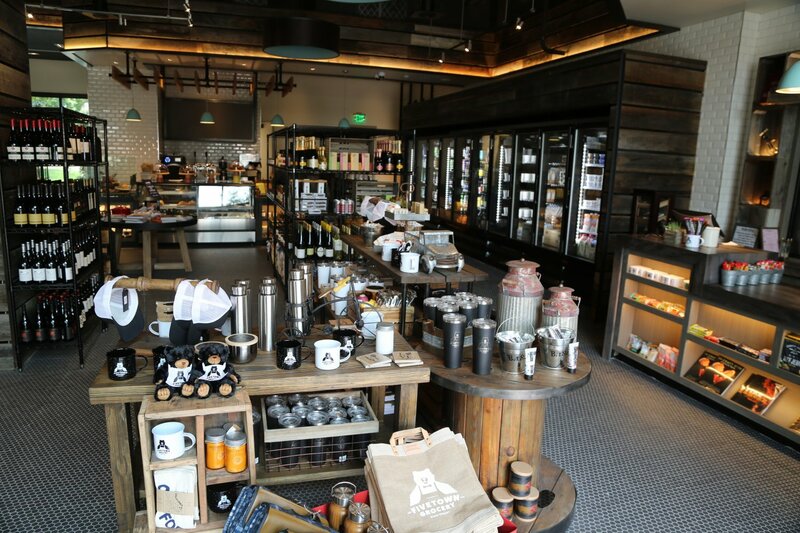 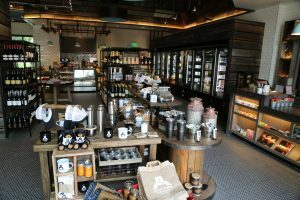 This wine bar is located within the resort property in Torrey Pines, just north of La Jolla and San Diego (and very close to the famous Scripps Research Institute). 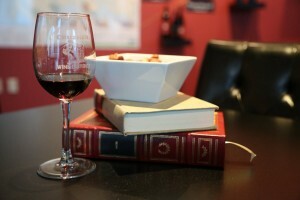 Wines from Trinitas Cellars can be ordered by the glass, or by tasting flight or paired with small bites. 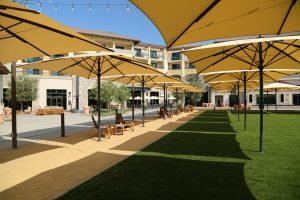 Their wines are not the only alcohol served here, guests can choose from local San Diego craft beers, a variety of cocktails and the resort’s own private label Single Barrel Jack Daniels. 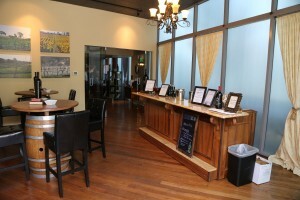 This is a cozy relaxing tasting space on what is certainly a beautiful property. 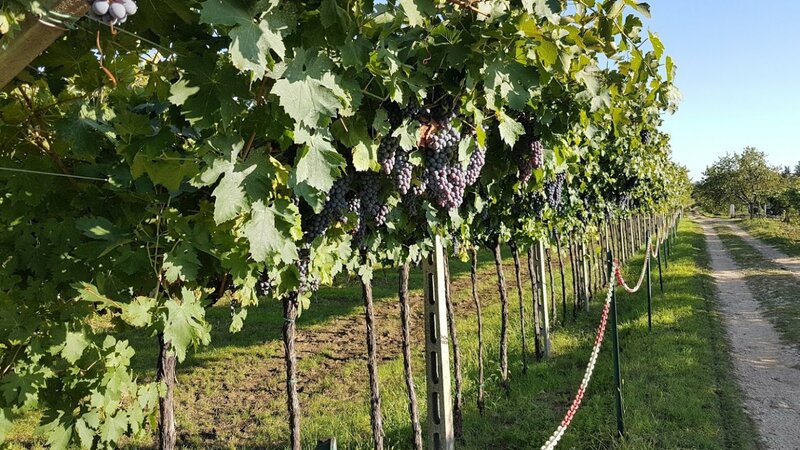 The family also sources grapes from select vineyards in Northern Italy near Verona. 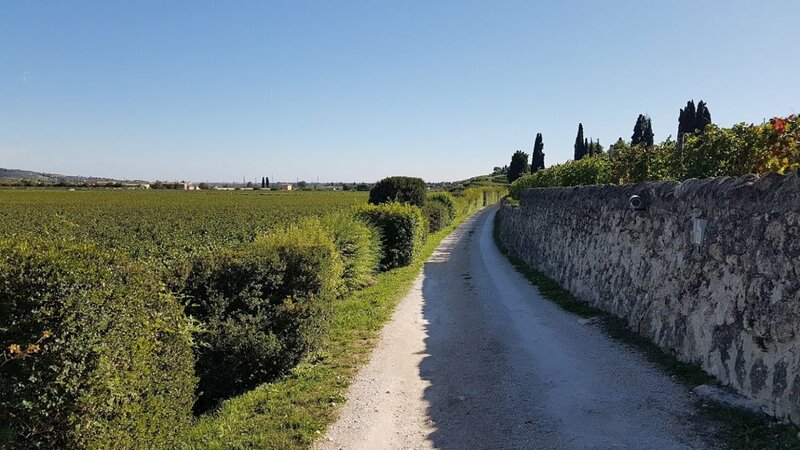 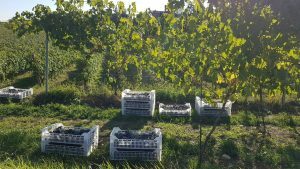 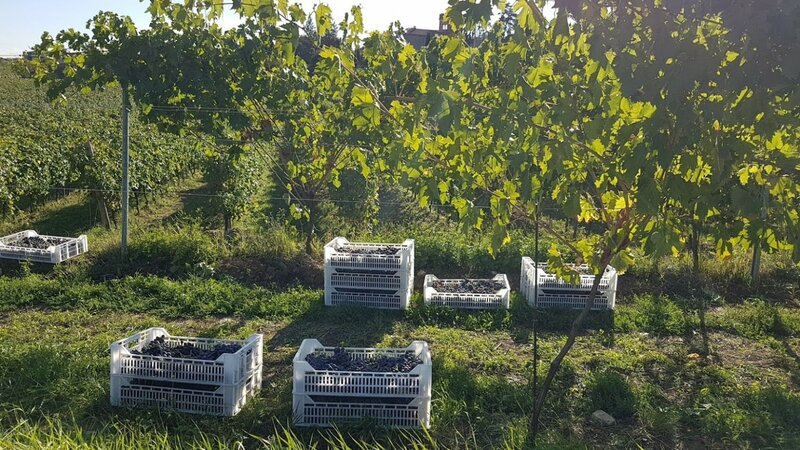 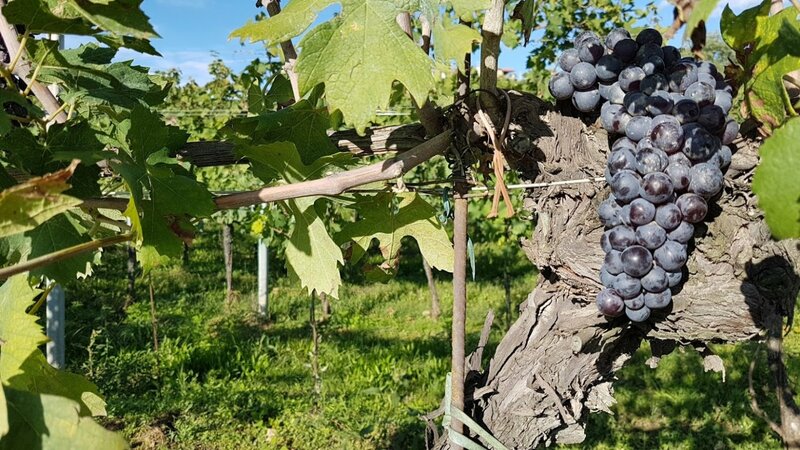 Tim initially looked to the Napa Valley to make Amarone – a popular wine we personally saw being made in Verona, the last time we were in Italy. The grapes are picked and then by law must dry a minimum of 2 months. 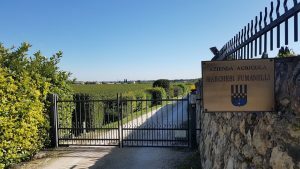 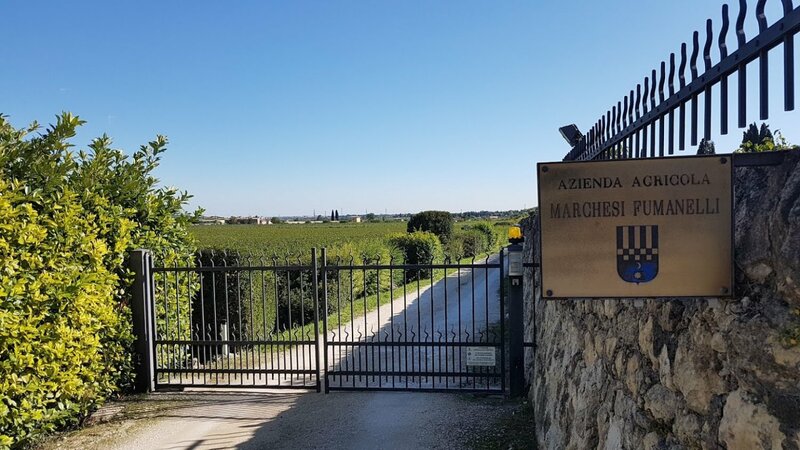 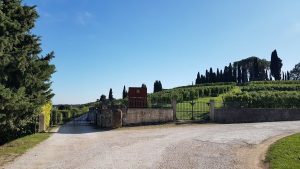 One winery we visited, Tedeschi Wines had built a special warehouse just for their Amarone production in which the grapes are left to dry – and by the time they are pressed much of the grapes have lost significant amounts of juice by volume. 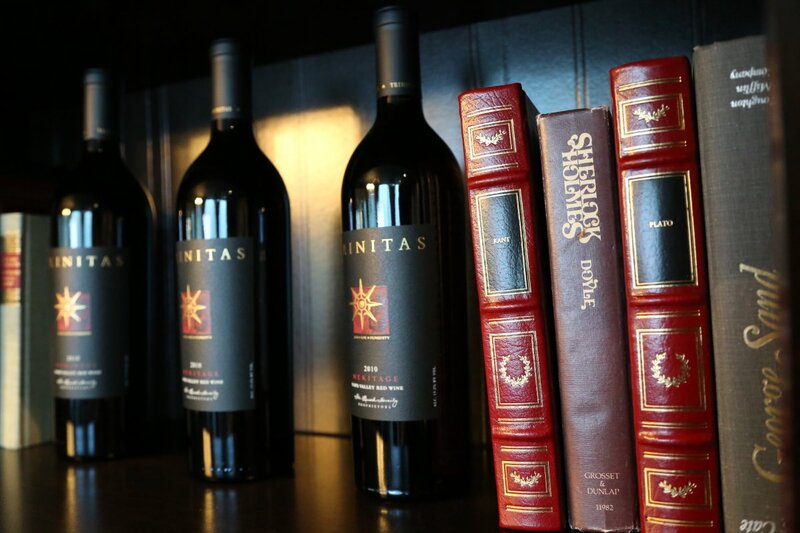 This is an expensive wine to make not only based on the extra time needed but also this lost volume. Long story short – Tim was unable and unsuccessful in producing Amarone from Napa so he went to Italy; 2006 was the first Trinitas vintage of this wine. 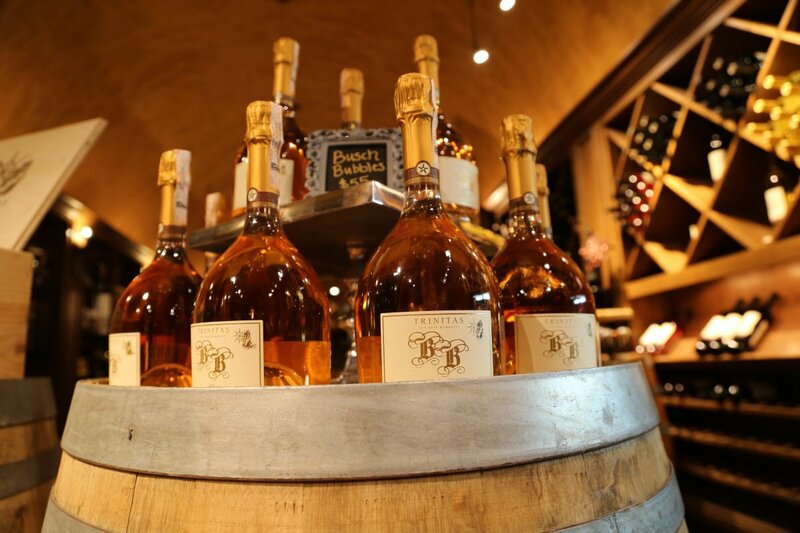 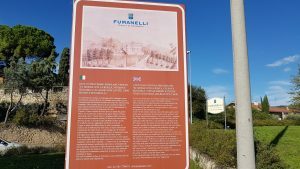 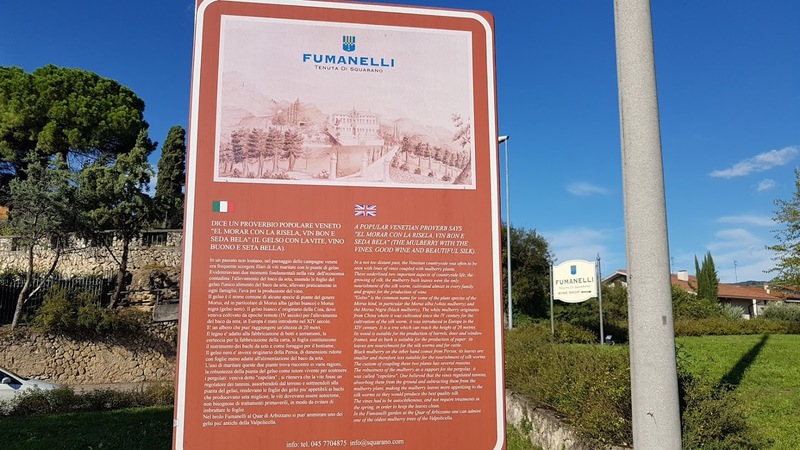 The wine is made in Italy by Marchesi Fumanelli and then shipped over in bottle. 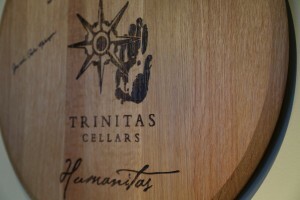 For more information and or to join their wine club, visit: www.trinitascellars.com. 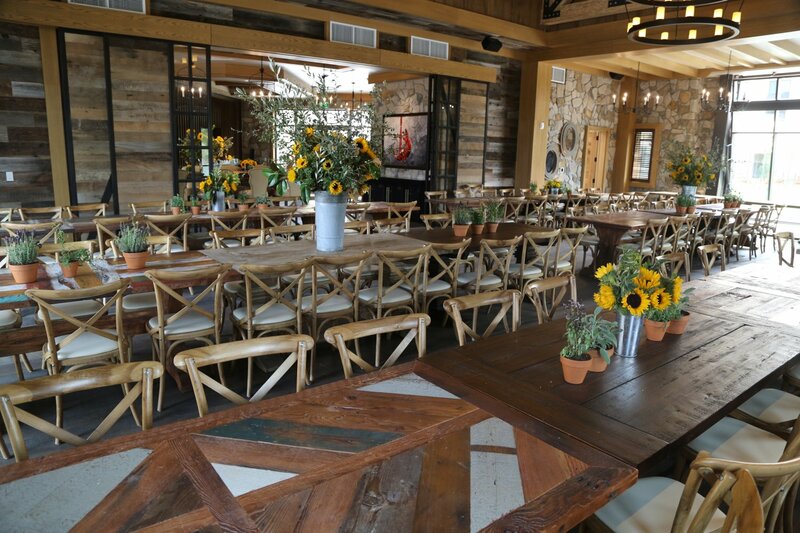 And for more information about the resort, visit The Meritage and The Village at Vista Collina.